A key interlocutor in India’s diplomatic negotiations with China to defuse the 73-day long Doklam standoff that threatened to bring the Asian giants on the brink of a war, veteran diplomat Vijay Gokhale took charge as India’s foreign secretary on January 29. Mr Gokhale succeeded S. Jaishankar. 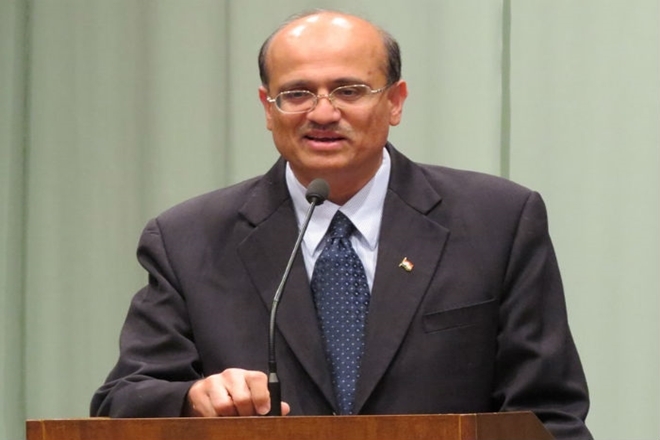 Widely acknowledged as an expert on East Asia, Mr Gokhale was India’s ambassador to China from January 20, 2016 to October 21, 2017 before moving back to the Ministry to External Affairs headquarters as the secretary (economic relations). Well versed in mandarin, Mr Gokhale, the 1981 batch India Foreign Service officer, had previously held the posts of director (China and East Asia) and joint secretary (East Asia) in the MEA. He had also served as India’s ambassador to Germany between October 2013 and January 2016 and served in Indian missions in Hong Kong, Hanoi and New York.